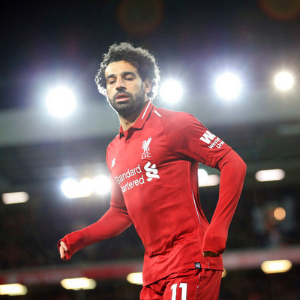 Cape Town - Defender Ryan Bertrand is relishing the chance to test himself against Liverpool's superstar striker Mohamed Salah on Friday night. The 29-year-old will line up with his Saints team-mates when Jurgen Klopp brings the title-chasing Reds to St Mary's later this week. It is another crucial game for the south-coast outfit, who sit 16th, five points clear of the relegation zone. There is pressure on both clubs as Liverpool cannot afford any slip-ups in their ongoing battle with Manchester City for the Premier League title, while Ralph Hasenhuttl knows he must put further daylight between Southampton and the bottom three. It will doubtless be tough for Bertrand and his team-mates but the England defender is looking forward to facing Salah, and believes it is just another day at the office. "It's always good to play against the best players. That is why you play and it's the ultimate aim,' he told Sky Sports News. "I won't change my preparations. "I'm just looking forward to seeing his strengths and seeing his weaknesses, and trying to nullify some and exploiting the others."